Local TV network Made Television is to air a new 10-part documentary giving a rare insight into the pressures faced by paramedics and doctors on the road. 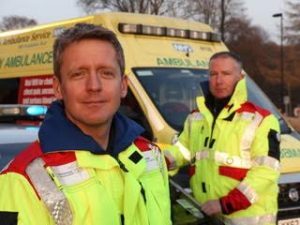 Produced by Raw Cut, A&E On The Road will follow the West Midlands Ambulance Service over a six-month period, following the medics as they tackle everything from street stabbings to motorbike accidents and suspected heart attacks. The series has also been acquired by BBC One Daytime which will air a five-part version later this year. Jamie Conway, CEO of Made Television, said: "People across Britain have a great deal of admiration for those involved with the emergency services and we’re delighted to have this opportunity to provide an untainted glimpse of what it’s really like behind-the-scenes." Launching on May 15th, A&E On The Road will air across the Made Television network in Birmingham, Bristol, Cardiff, Leeds, Liverpool, North Wales, Teesside and Tyne & Wear. Steve Warr, Raw Cut’s executive producer, said: "Our reputation is for creating authentic, gritty documentaries that provide a journalistic overview of what it is really like to work within the blue light profession. "We are extremely proud of this series, which gives a rigorous, immersive account of the trials and tribulations of paramedics in the West Midlands."